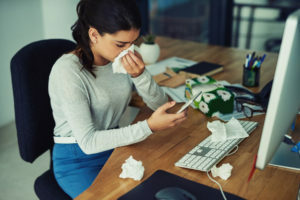 With flu season on the way, arm your employees now with the information they need to manage their own, and their family’s potential illness. Though the common cold and seasonal influenza share several symptoms, there are points of differentiation that will help you identify which you may have in order to seek proper treatment. It is important to tell the difference, as the flu can result in more serious health complications, while the cold likely will not.